Celebrate all things food at Toombul! Amazing food deals, exclusive dining experiences and events, free giveaways plus the chance to have Justine Schofield cook dinner for you and 10 friends. Justine is one of Australia's most recognisable culinary faces, having forged a reputation as a simple and elegant cook. Justine's TV show 'Everyday Gourmet' is entering its seventh season, and her regular column in Taste magazine has attracted a loyal following. Eight years on from her MasterChef success, we are proud to introduce Justine as the official ambassador of Tastes of Toombul. Win a degustation dinner by Justine Schofield for you & 10 friends. 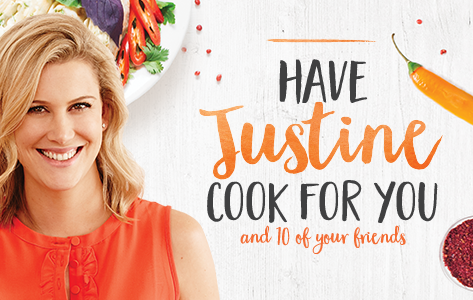 Enter for your chance to have Justine cook for you and 10 friends plus there's 150 copies of Justine's best selling cookbooks up for grabs! Pickup your free magazine in centre. 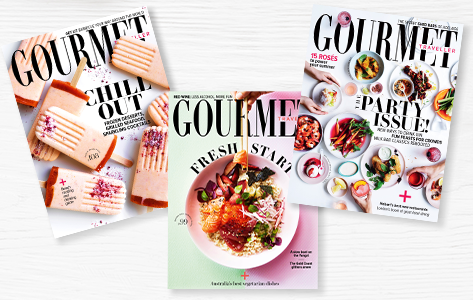 Gourmet Traveller, Australia's premier food, travel and lifestyle magazine, informs and inspires its readers with an agenda-setting mix of feature stories from around Australia and overseas. PICK UP YOUR FREE COPY AVAILABLE AT CUSTOMER SERVICE MAKE SURE YOU ARE SUBSCRIBED TO OUR E-NEWSLETTER. SIGN UP HERE. 4 everyday recipes from Justine Schofield. Time seems to be the missing ingredient in many kitchens these days, no matter how many people you're cooking for. How do I get dinner on the table quickly and easily without sacrificing flavour? What can I do on the weekend to streamline my cooking for the week ahead? Justine's recipes below have been designed to make life easier in the kitchen, giving you more time to enjoy both the preparation and the delicious results. During April you can help put food on the plates of those in need. 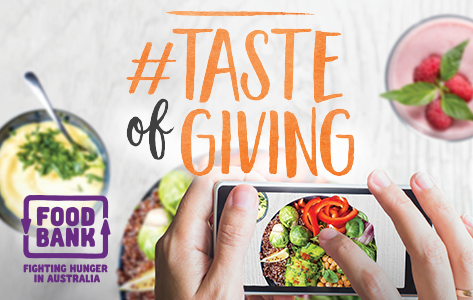 Simply post a pic of a meal you purchased at Toombul on Instagram with the hashtag #tasteofgiving and we will donate a meal to someone in need through Foodbank, Australia’s largest hunger relief organisation. You can also help by donating non-perishable food items in centre. To donate or hear more about the stories of those in need, click the link below.